Jesus of Nazareth is arguably the most famous and influential human being who has ever lived on earth. 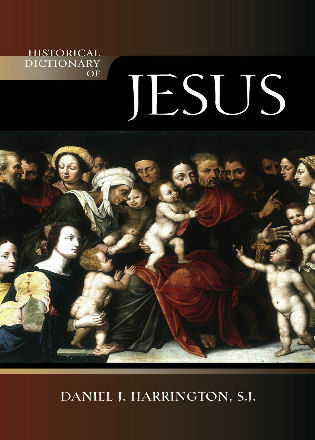 In the Historical Dictionary of Jesus, author Daniel J. Harrington delves into the ancient literary sources about Jesus, modern methods of approaching these sources, the major events in Jesus' life, persons and places associated with him, the form and content of his teachings, what can be said about his death and the claim that he was raised from the dead, and the contributions of major modern scholars to the quest of the historical Jesus. Daniel J. Harrington, SJ (1940–2014), was professor of New Testament at Boston College School of Theology and Ministry and editor of New Testament Abstracts. A past president of the Catholic Biblical Association, he was the author of more than 40 books on various topics in biblical studies. Jesus of Nazareth has had an enormous impact on human history. Yet just about all the information we have about him is contained in documents that were written some time after his death by authors who regarded him as more than a Jewish peasant turned religious teacher. Harrington, a noted biblical scholar, takes on the daunting task of reconstructing the life and teachings of Jesus in some 400 brief entries. The people, places, and events in Jesus' life are covered in entries such as Galilee, Mary Magdalene, and Trial of Jesus. Some scholars view the parables of Jesus as presenting his actual teachings and possibly his very own words, so many (e.g., Good Samaritan, parable of the) are included. Such topics as Humor, Money, and Table fellowship further describe Jesus' teachings and the manner in which he taught. Although the dictionary is not intended as an apologetic work, theological topics such as Incarnation, Logos, and Son of Man are mentioned in the source documents so therefore merit inclusion. One of the most interesting entries and also one of the longest is Jewish interpretations of Jesus, wherein Jewish perspectives over the centuries are introduced. A concise introductory essay gives an overview of 'the major topics pertaining to Jesus as a historical figure,' and the dictionary concludes with a bibliography of recommended works.... Historical Dictionary of Jesus is a fine place to start for accessible and authoritative information. Recommended for theological, research, and large public libraries. This dictionary will be a helpful source for those who want a handy, quick reference guide to the study of Jesus and the Gospels. Summing Up: Recommended. A readable textbook on Jesus….It offers a tremendous introduction to critical topics about Jesus, 400 cross-referenced entries and a thorough bibliography. The Historical Dictionary of Jesus by Daniel J. Harrington is a small but valuable resource for all who are beginning their studies in the field of bible and theology as well as those simply interested in pursuing a greater understanding of the historical person of Jesus…. With an insightful introduction and strategic entries, this dictionary provides an exemplary guide concerning the historical figure of Jesus and the methods and disciplines used to study him…. The dictionary is a handy volume, well laid-out, and easy to use…. It is easily one of the best sources for understanding the historical person of Jesus, giving the student and scholar ample material to answer one's questions and point him/her in all the right directions for further study. Part of a series covering a range of philosophical and theological figures and movements, this volume sets Jesus’s life on earth in the context of ancient literary sources including the New Testament....The work is well-researched and the style objective, though the content is most likely to appeal to those who study the life of Jesus as part of their personal journey of faith. However, it would be a useful resource for those studying other faiths or comparative religions, in offering succinct and well-distilled mini-essays on the huge range of subjects that relate to the life of Jesus. The book is a surprisingly slim volume for the amount of information that it appears to encapsulate, and this makes it a good reference source for the individual. The book consists of three parts: an introduction to the major topics pertaining to Jesus as a historical figure; a cross-referenced dictionary containing 400 entries on a range of topics, including things Jesus did and said, ancient sources of historical data, and modern scholarship and interpretation; and a bibliography listing some of the most important books related to Jesus and the world in which he lived. This concise and objective reference work provides a clear and accurate introduction to the study of Jesus as a historical figure.